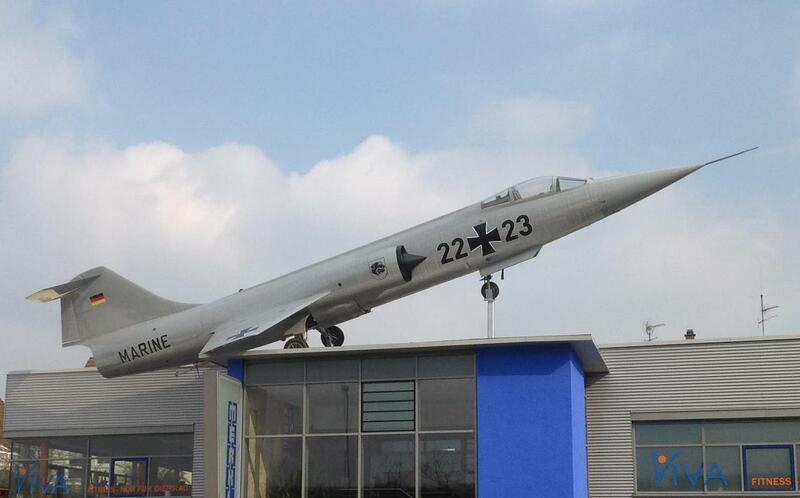 The F-104G 23+24 has been put on display on the roof of the Factory Merkle situated at Stuttgart-Zuffenhausen. 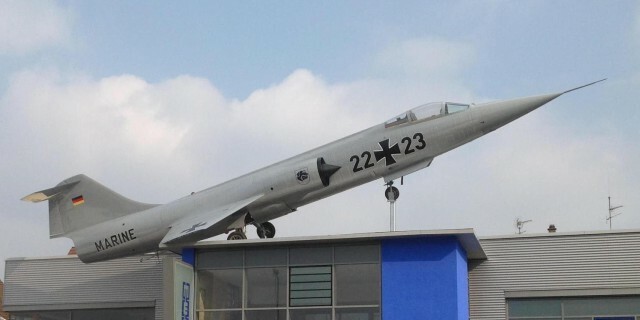 It has been painted light grey, sadly carrying markings in non-standard dimensions and also an incorrect serial "22+23" . It was first noticed in March 2013.